Hi, Everyone! I'm still back East in Virginia. On the date of this post, my daughter Maria & I will be spending a few days in Colonial Williamsburg enjoying all the holiday festivities and events in this beautifully-restored colonial town. 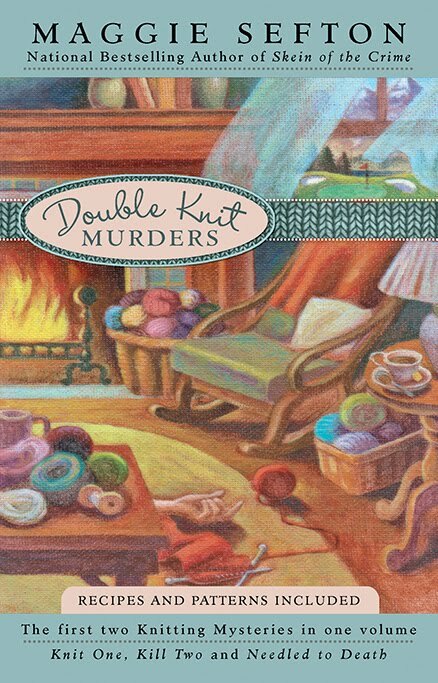 I'll be back to my regular blog post next Tuesday, but while it's still 2010 I wanted to express my gratitude to all the readers for embracing the latest releases in the Kelly Flynn Knitting Mysteries: SKEIN OF THE CRIME & DOUBLE KNIT MURDERS----both pictured above. Thank you, thank you to all of you readers who have made the Kelly Flynn mysteries the national bestsellers that they are. Thank you, Everyone! And I wish a Peaceful and Prosperous New Year to you all! I hope you have had a wonderful visit with your daughter. I really enjoyed meeting at Borders here in Colorado Springs. Happy New Year Maggie! Have fun with your daughter in Colonial Williamsburg. It has been years, okay, decades since I have been there. I love the way they decorate for the holidays. I'll have to go back some day. 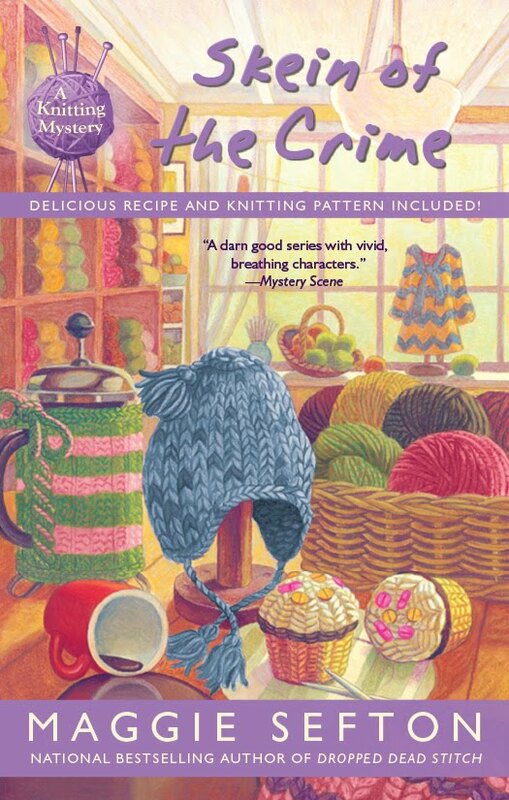 I'm looking forward to the upcoming year and lots of cozy mysteries. Hope everyone has a wonderful New Year, and gets to enjoy lots of great books! Looking forward to what the Cozy Chicks have planned for 2011! On a side note: Today is our 25th wedding anniversary! Yeah us, for making it this far! And I'm extra excited because hubby got me a Kindle! E-book world, here I come! I haven't been to Colonial Williamsburg for many years, but I still have great memories. My favorite is of being on the lawn in the town square watching the fireworks on the 4th of July. I trust you are truly enjoying your visit there. I know you are having a great time with your daughter. When I'm with mine it's wonderful. But to be in Williamsburg and with your daughter must be grand :-). Have a wonderful New Year and again thanks for the great books. Have a safe trip home too. I hope you post some Williamsburg pictures. Happy New Year to you and your family Maggie. I bet you are having a fun time in Williamsburg. I was there once before, when I was a teenager, and I remember it being a very interesting place. Happy New Year Maggie! I hope to read more of your books soon. I have it on pre-order. Beverly---I really enjoyedn meeting you, too. And thank you for sharing a Kelly Flynn mystery. Sandy---I hope you can visit Colonial Williamsburg again one day. Meanwhile, keep enjoying those cozy mysteries! Miki---I'm hoping I'll be able to attend at July 4th celebration there one day, too. It sounds wonderful. Debra---You know, neither Maria nor I took any photos with our cell phones. We simply enjoyed it all. I plan to return in 2011 during the warmer weather & I'll take some photos then. Why, thank you, Aurian. Happy New Year to you, too! And Happy New Year again to all of you Cozy Chicks bloggers!